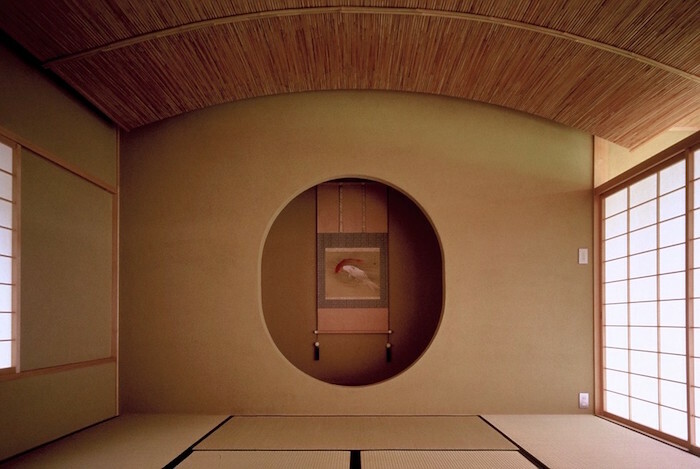 Tokonoma is the Japanese alcove we can see in the reception rooms of the traditional Japanese houeses. It’s taken as a focal point for the interior as it provides the sense of hospitality for the guests. Let’s take a look at its history to see how they have been developed. The style of Tokonoma we see today began to be developed in the Muromachi period (1336-1573), which is the time the types of art such as Ikebana, Chado, and Noh were developed as well. Originally, the Tokonoma was developed for putting three Buddhist altar filling; a flower base, a candle stand, an incense burner for Buddhism thought. 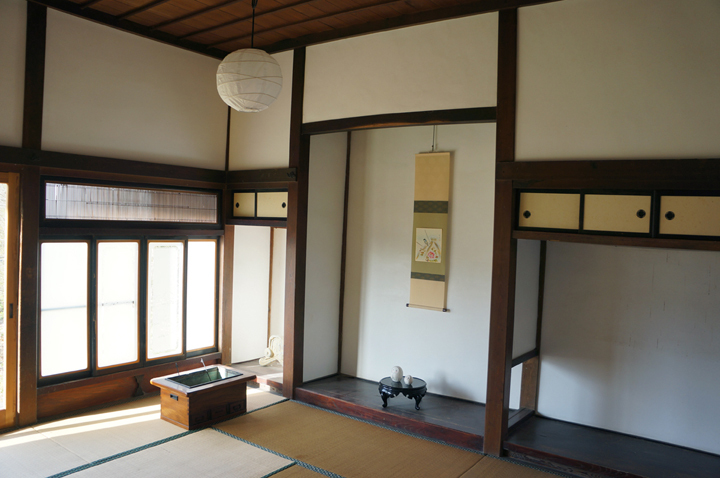 Additionally, the Shoin (drawing room), in this case, a writing alcove and The Chigai-dana (staggered shelves) consists the Tokonoma in a strict manner. The Tokonoma in the tea houses took the different course. Unlike the one with the Shoin, it allows the more free style of design and it became kind of the showcase for expressing the sense of the season. 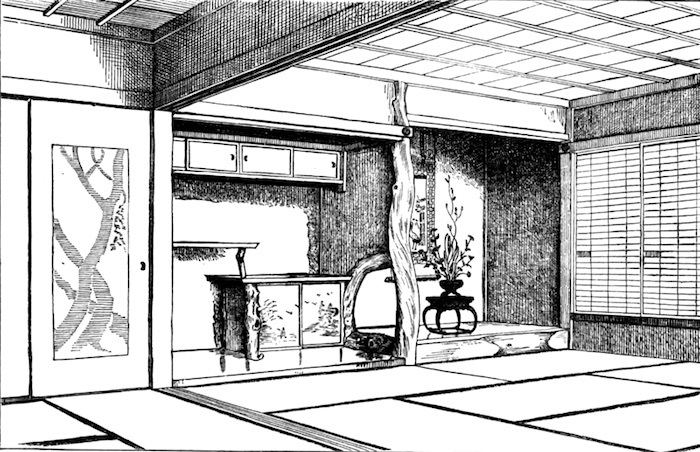 The Tokonoma we see in houses today inherit this spirit of the style to entertain guests with seasonal flowers, plants, and scrolls. 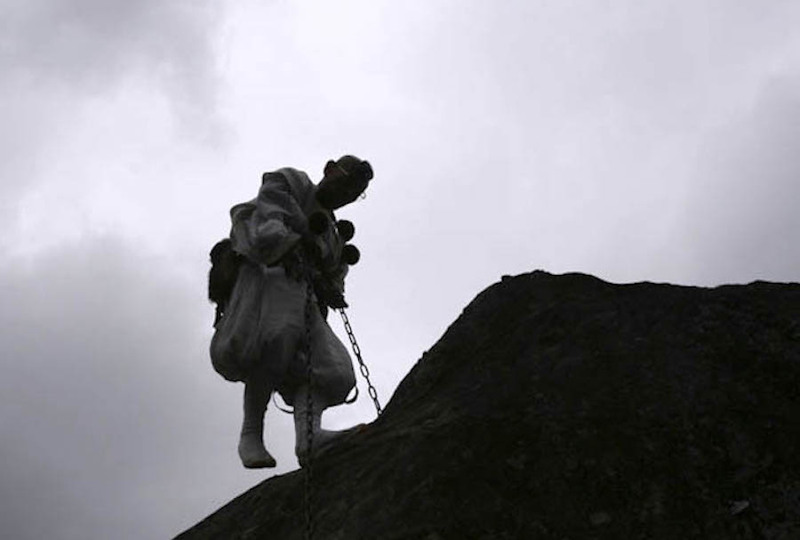 In the Edo period (1603-1868), the significance of the Tokonoma has changed since Samurai constructed them to boast their authority. 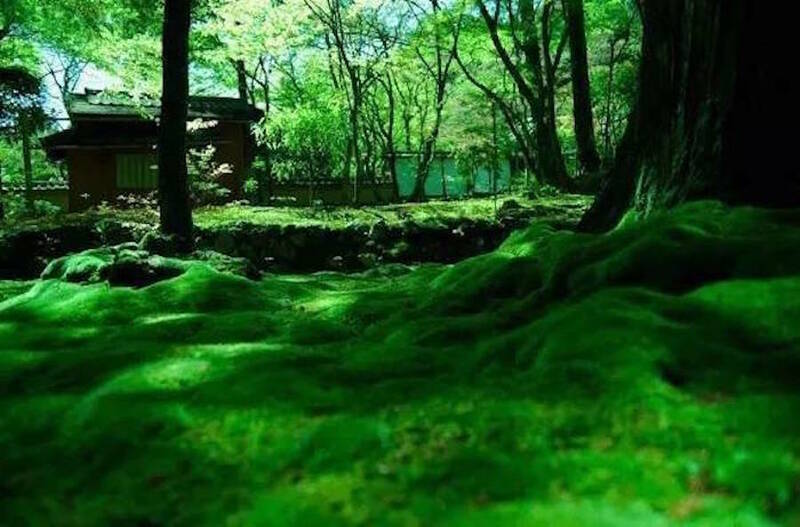 Only after the Meiji period (1868-1912), the common people began to build the Tokonoma in their houses. 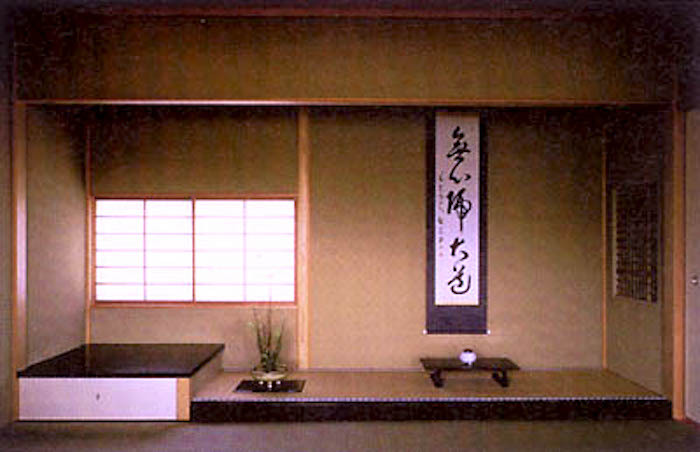 When having the higher ranking person in the reception room, he is supposed to be seated in front of the Tokonoma. 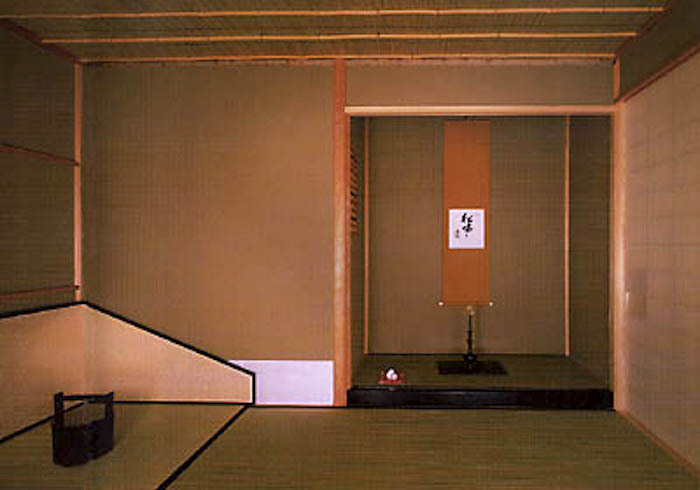 The Tokonoma consists of Otoshigake (a bar placed across the upper part of the tokonoma), Tokobashira (alcove post), Tokogamachi (the vertical board that connects a frameless tokonoma to the floor), which enclose the Tokonoma squarely. It looks like a huge frame. In order to make it impressive for the guests to send the message, show the hospitality. 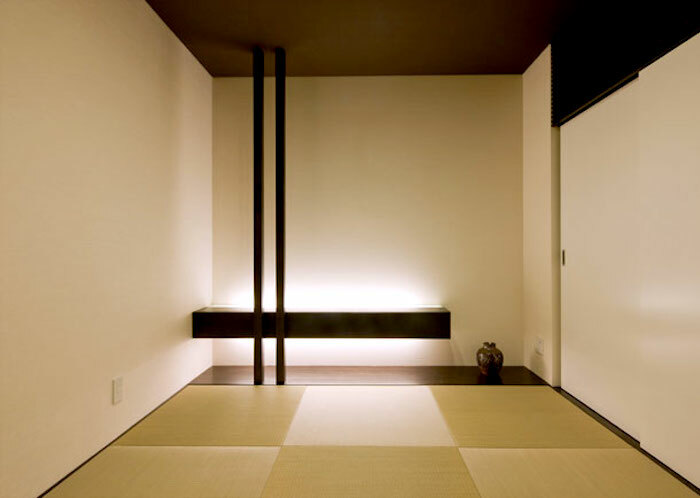 It’s designed to let the light in from the Shoin, the light through the Shoji (a sliding translucent screen) has the effect of indirect and soft lighting. Look at the upper part of it, you see a small wall which makes a shadow and gives it the depth. It allows the scroll to look three-dimensional. You can see the essence of the beauty of asymmetrical balance here just as well with the Japanese gardens. The Tokonoma has variation in styles. 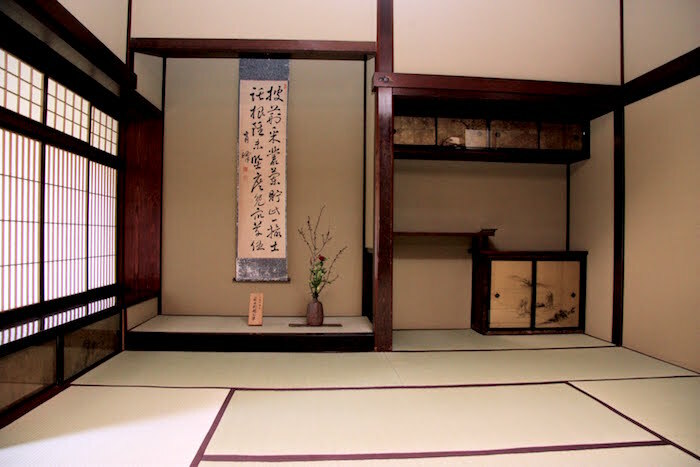 Although we listed the three styles, Shin (真), Gyo (行), So (草) of the traditional Japanese rooms, sometimes its definition overlaps depends on how the precious wood is processed and the perspective of the designers. It is the most formal and prestigious Japanese style room based on the Shoin-zukuri (style). 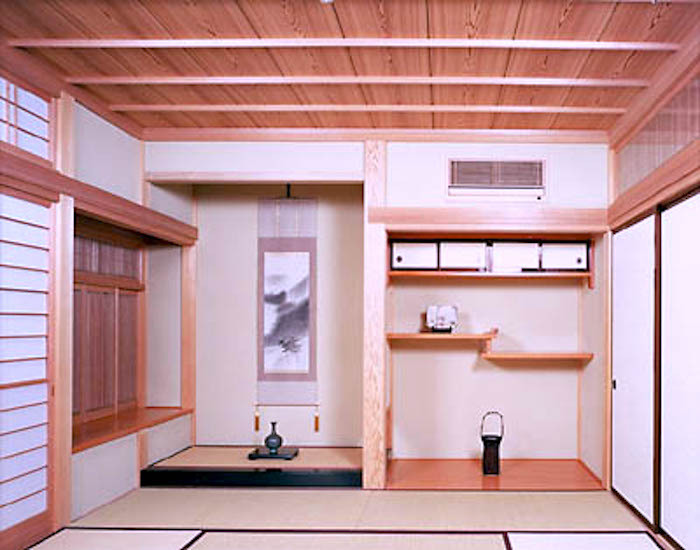 It consists of the Tokonoma, the section of a room next to the alcove (where shelves are often placed), the beam running between columns, and the writing alcove. It’s a little-altered one of the Shin style. You can say it’s the right in the middle of the Shin style and the So style. 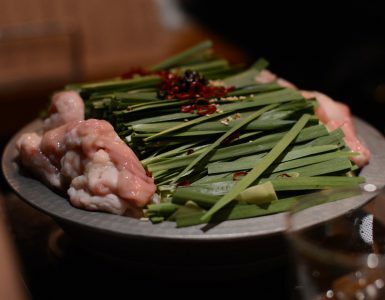 So it adapted the goodness of each, mix with the authoritative feature and the free ones from Sukiya-zukuri (style) we see below. 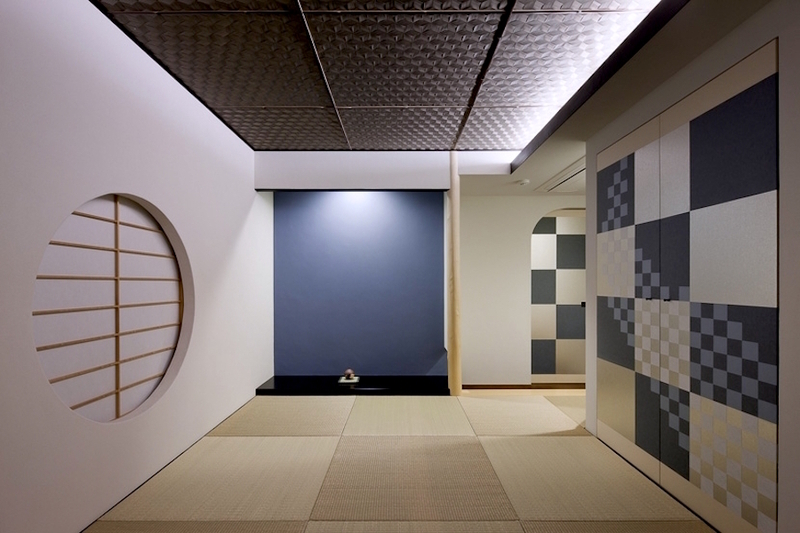 It was developed originally for a tea room, usually called SUkiya-zukuri (style). The most prominent feature is it uses a lot of naturally grown trees. Also, it uses relatively thinner trees, which gives the sense of softness. 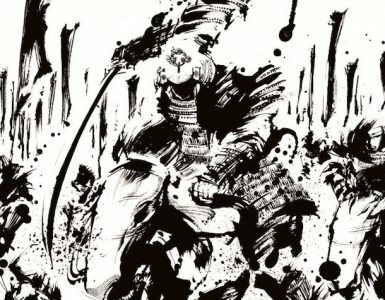 The scroll in the Tokonoma is a main actor of the film. This is what catches the attention of the guests when they enter the room. Originally, the scrolls were the object of Buddhist worship in the early times, then it became popular as an art of beauties of nature due to the popularity of Zen Buddhism. In the 16th century, the scrolls gained immense popularity among tea lovers thanks to Sen no Rikyu, the founder of Chado (tea ceremony). He advocated the significance of the scrolls in tea rooms. The tradition to change scrolls for each guest, season, day and night have begun at this period. The motifs in each drawing have its meaning and it is changed to the seasonal events or for a good luck. 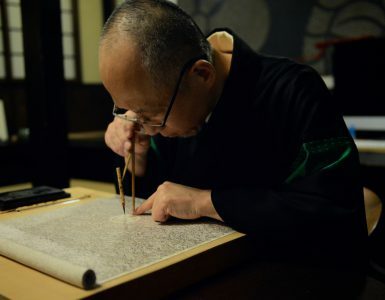 They can be broken down into Buddhist drawings, original drawings of Ukiyo-e, drawings of beauties of nature, and many other varieties of drawings or writings are attached to the scrolls. 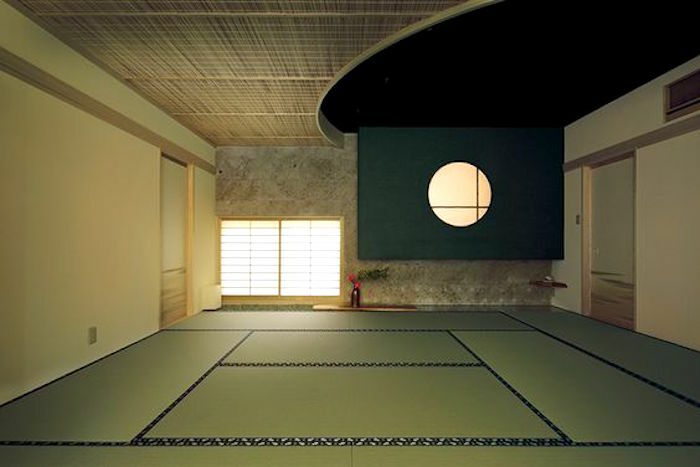 It’s one of the styles of the bold line of cutting the space and the Tokonoma is on the same level with the floor matted with tatami. The one which creates the sense of the extraordinary as if you were in a museum. It looks as if carps in the scroll are swimming in the pond of Tokonoma. The bold cutting line creates the dynamic flow to space. 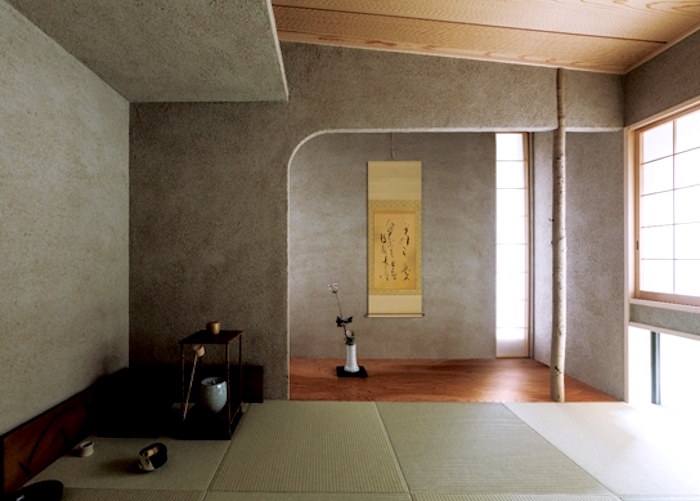 This Tokonoma expresses the night of the full moon, which would calm the souls of the guests. 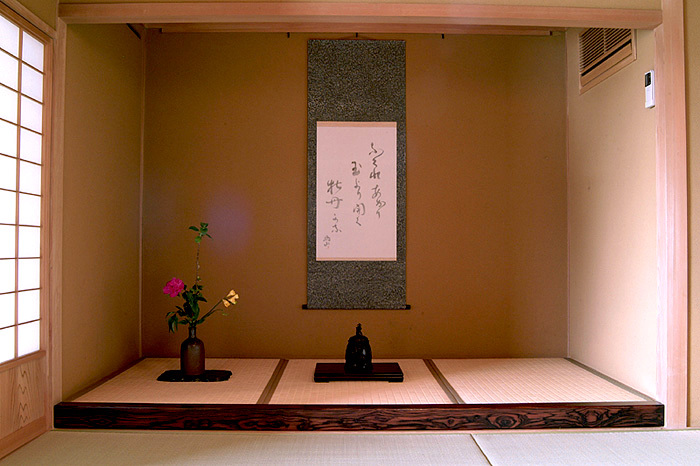 The Tokonoma is the unique and even sacred space in the traditional Japanese house, which would encourage people to talk about the scrolls or flowers and cherish the changes of the season inside the house. 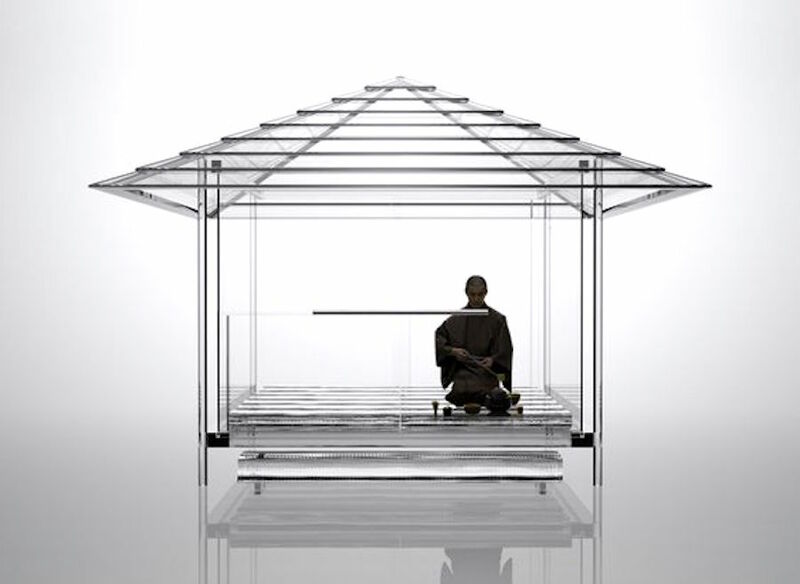 Also, its design allows us to appreciated the emptiness and it’s a great medium to remind us to stay still and meditate. How wonderful is that?